Two new subjects are introduced by the college from this academic year. Candidates of B.Com 3rd Semester (Hons & Genl) Examination, 2018 (under CBCS) seeking for re- examination are asked to fill-up the online review form from 12th April, 2019. Candidates of B.A / B.Sc Part - I (Genl) Examination, 2018 seeking for re- examination of their Genl papers are asked to fill-up the online review form from 05th February, 2019. It is notified that Marksheet for B.Com Part I (Hons & Genl) (1+1+1, Annual) 2018 will be distributed on 21st January, 2019 from 8 am to 12 noon. This is for the information of all concerned that the classes for B.A/B.Sc/B.Com Sem II (Hons & Genl) and B.Com Sem IV (Hons & Genl) shall commence on & from 21st January, 2019. All the students are hereby directed to attend their classes regularly. Candidates of B.A / B.Sc Part-II (Genl) Examination, 2018 seeking for re- examination of their Genl papers are asked to fill-up the online review form from 24th December, 2018. The Selection Examination of B.A / B.Sc / B.Com (Morning & Day) 3rd year (Hons & Genl) will commence on and from 4th January, 2019. All students are directed to appear in the Examination. Students are asked to follow the departmental Notice Board for further details. Candidates of B.Com Part- II (Genl) Examination, 2018 seeking for re- examination of their General papers are asked to fill-up the online review form from 13th December, 2018.
open from 12th November to 19th November 2018. Students are asked to fill up the same online and submit the duly signed hard copy of the same to the college office with requisite fees latest by 19th November 2018. The College will remain closed from 13th October to 10th November, 2018 on account of Durga Puja, Laxmi Puja, Shyama Puja, Diwali and Bhatri Dwitiya. The college will reopen on 12th November, 2018 (Monday). Candidates of B.A /B.Sc Part - II (Hons) Examination, 2018 seeking for re- examination of their Hons papers are asked to fill-up the online review form from 27th September, 2018. Candidates of B.Com Part - III (Genl) Examination, 2018 seeking for re- examination of their General papers are asked to fill-up the online review form from 27th September, 2018. Students of 1st year B.A / B.Sc / B.Com & BBA (Hons & Genl) course for the session 2018-19 are hereby informed that the Cross Verification of Registration Data is going on. Students are asked to carry Photocopy of original Admit Card & Marksheet (10+2) and Red pen for the correction. The students of 1st Sem Journalism & Mass Communication (Hons), English (Hons), Hindi (Hons), B.A (Genl) and B.B.A (Hons) are asked to attend a Student Seminar to be held at college. 8th September, 2018 : Computer Science. The College will remain closed on 3rd September, 2018 on account of Janmastami. College will remain closed on 22nd August 2018 on account of Bakr-Id. Students appeared for B.A / B.Sc Part - I, (Hons & Genl) Examination, 2018 are directed to take provisional admission in 2nd year, by filling up Provisional Admission form available in office on and from 13th August, 2018 and paying the requisite fees before the commencement of classes. Last date of submission of filled I proforma is 22nd August, 2018. It is hereby notified that B.Com. 2nd year Semester III classes will commence on and from 24.07.18. Orientation Programme : B.Com. and B.B.A. Orientation Programme : 1st year B.A / B.Sc. Orientation Programme for the students, taken admission to the 1st year B.A/B.Sc Hons and Genl. Courses of studies, in the academic session 2018-19 will be held on 11th July 2018. It is hereby notified that B.Com Part - I Supplementary Exam, 2018 C.U. Admit Card will be distributed on and from 10.7.18 between 8 am to 10.30 am. Result for B.Com Part III (Hons). Candidates of B.A / B.Sc / B.Com Part - III Examination, 2018 seeking for re- examination of their Honours papers are asked to fill-up the review form. 3rd Year : B.Com. / B.A. / B.Sc. The date of commencement of B.Com 3rd year (Hons & Genl) classes of Morning and Day shift is 17th July, 2018. Students appeared for B.A / B.Sc Hons & Genl Examination, 2018 are asked to take provisional admission in 3rd year course of studies by paying requisite fees and filling up Provisional Admission Form available at office on and from 4.7.18. Photocopy of Admit Card of B.A / B.Sc Part II Hons & Genl Examination, 2018. Two Copies Passport Size Color Photo (Recent). The college will remain closed on 16 Jun 2018, Saturday on account of Eid. Students appeared for B.Com Part - II (Hons & Genl) Examination, 2018 are directed to take provisional admission in 3rd year by filling up Provisional Admission form available in office on and from 18th June, 2018 by paying the requisite fees before the commencement of classes. Date of class start will be notified later. Students of B.Com are asked to collect their B.Com Part II Supplementary Examination, 2017 result from Smt Purnima Mukherjee on 26.5.18 from 10 am - 12 noon. Internal assessment for B.Com Hons and General course Semester II (Morning and Day shift) will commence on and from 24th April, 2018. For time table follow college notice broad. Classes of B.A. / B.Sc. / B.Com. Students are asked to contact respective department for further details. It is hereby notified that the commencing date of Internal Assessment Examination of B.Com 1st year, 2nd Semester (Hons & Genl) is 24th April, 2018. The students are instructed to appear for the examination. All eligible candidates going to appear for B.Com Part - II Hons & Genl Examination, 2018 are asked to follow the schedule for either form fill up or submission of printed application form (if downloaded) with requisite fees as given. 1st year B.A. / B.Sc. Hons & Genl. students(Academic session 2017-18) are hereby asked to follow the college website www.thkjaincollege.ac.in for obtaining their Registration number of University of Calcutta. The College will remain closed on 1st and 2nd March, 2018 on account of Dol-yatra and Holi respectively. Online Form Fill - up for B.A / B.Sc / B.Com Part - I Supplementary Examination, 2017 for failed general subjects will start on and from 27th February to 5th March, 2018. Follow Calcutta University website for online form fill - up. The hard copy of filled in application form along with requisite fees by the concerned students to be submitted in college office. Compulsory Language Group Exam 2018. Students are directed to appear for the exam as there will be no separate examination for the Language group at final C.U Exam. They are required to carry Provisional Admit Card which will be issued shortly. They are instructed to follow strictly the time schedule of the examination. No students will be allowed to enter the examination hall 15 minutes after Examination start time. It is to be noted that appearance at this examination will not make them eligible for final form fill-up of C.U Exam, 2018, if they are not otherwise eligible. It is hereby informed that B.Com Part - III (Hons) Project (Viva-Voce) C.U Final Examination will be held on 15th, 16th, 17th and 19th March, 2018 from 9.30 am at T.H.K Jain College. Detail schedule regarding the said Examination will be notified soon. It is to be notified for all concerned that Compulsory Language Examination 2018 will be held on 6th March, 2018. 1st year B.A / B.Sc students taken admission in the academic session 2017-18 (Fresh). Students who have got 'X' status (unsuccessful) in B.A / B.Sc Part I (Hons & Genl) Examination, 2017. B.Com Part I (old) or who got 'X' status (unsuccessful) in 2017 Examination. B.A / B.Sc / B.Com (old) students who are partly qualified / failed / or remained absent for the Language Examination. It is to be notify that Compulsory Language Examination 2018 of University of Calcutta for B.A / B.Sc / B.Com (old) Part - I (Hons and Gen) will be held on 6th March, 2018. The College will remain closed on 14th February, 2018 on account of Shivratri. All eligible candidates going to appear for B.A / B.Sc Part - III Hons & Genl Examination, 2018 are asked to follow the following schedule for submission of printed application form (downloaded) as given below. It is hereby notified that the commencing date of B.A / B.Sc 2nd year (Hons & Genl) is 15th February, 2018. The students are instructed to appear for the examination. Form Fill-up for B.A / B.Sc / B.Com Part-II Supplementary Examination, 2017 for failed general subjects has been going on. Follow Calcutta University website for online form fill-up. The hard copy of filled in application form along with requisite fees by the concerned students to be submitted in college office. College will remain closed on 12th January, 2018 on account of birthday of Swami Vivekananda. Compulsory Language Group (Communicative English & Indian Language) of B.Com Semester - I Examination, 2017 Hons & Genl under CBCS will be held on 15th January, 2018. It is to be notified that the commencing date of B.Com 2nd year (Hons & Genl) is 2nd February, 2018. The students are instructed to appear for the examination. This is to be notified that the commencing date of Selection Test of B.A / B.Sc 3rd year (Honours and General) is 08.01.18. The students are directed to appear for the examination in each paper. It is to be further noted that they must get the pass mark in each paper / subject failing of which will not make them eligible to fill up C.U form. The college is going to hold its Annual Function 'RIPPLES' and Prize Distribution ceremony on 22nd December, 2017 at college premises from 10 am onwards. 23rd December, 2017 has been declared as Holiday on account of Students' Fest 'RIPPLES'. Winter Recess will start on and from 24th December, 2017. College will re-open on 2nd January, 2018. View Provisional List with Roll No. and Registration No. Students of 1st year B.A / B.Sc / B.Com (Hons & Genl) course are hereby informed that the Verification of Registration check-list will be done on and from Saturday 18/11/17. It is hereby notified to all the students of B.Com 3rd and 2nd year that their examination time schedules has been changed. For this students are asked to see the notice board and strictly follow the new time schedule for forthcoming Mid-term examination. The Mid-Term Examination of B.A / B.Sc 1st year, 2nd year and 3rd year (Hons & Genl) will commence on and from 10th November, 2017. The College will remain closed on 26th October and 4th November, 2017 on account of Chhath Puja and Guru Nanak birthday respectively. The College will remain closed from 26th September to 22nd October, 2017 on account of Durga Puja, Muharrum, Gandhi Jayanti, Laxmi Puja, Shyama Puja, and Bhatri Dwitiya. All pass-out students (all cleared) of B.A / B.Sc / B.Com (Hons & Genl) except Computer Science are asked to enroll their name for campus drive by BPS @ TCS on 11/9/2017 at jcollege20@gmail.com . Students appeared for B.A / B.Sc Part - I Examination, 2017 are directed to take provisional admission in 2nd year by paying the requisite fees on and from 18th August, 2017. Date of class start of Hons. Students appeared for B.Com Part-I (Hons & Genl) Examination, 2017 are directed to take provisional admission in 2nd year by filling up Provisional Admission form available in office and paying the requisite fees before the commencement of classes. on account of C.U B.A / B.Sc Part I Hons & Genl Examination, 2017. Regular classes will be held on and from 12th August, 2017. Students are asked to follow Notice Board for Time Table. Orientation Programme for 1st year Fresher of Day Shift of B.A / B.Sc / B.Com will be held on 22nd and 24th July, 2017 View Schedule. It is hereby notified that Orientation Programme for the B.Com. 1st year (morning) students will be held on 20th July and 22nd July, 2017 according to the following schedule. Students of B.A / B.Sc / B,Com Part III (Hons) Examination, 2017 are asked to collect their marksheet from respective Departmental Office from 30.6.17. Students appeared for B.Com Part - II (Hons & Genl) Examination, 2017 are directed to take provisional admission in 3rd year by filling up Provisional Admission form and paying the requisite fees on and from 15th June - 30th June, 2017. Students going to appear for B.Com Part - II Honours Exam are hereby asked to collect their admit card from departmental office as per the following schedule. Online Form Fill up for B.Com Part I (Hons & Genl) Examination, 2017 will be done on and from 12th April, 2017. Note: Only listed candidates are allowed to fill up the form. College will remain closed on 14th and 15th April, 2017 on account of Good Friday & Dr. Ambedkar Jayanti and Bengali New Year. Students of B.A / B.Sc / B.Com Part III (Hons & Genl) Examination, 2017 are asked to collect their admit card from departmental office. Revision class for B.Com 1st year (Hons & Genl) will start on and from 20th March, 2017 following which Registration Certificate will be distributed following the schedule of the department. Online Form Fill for B.A / B.Sc Part II (Hons & Genl) Examintion, 2017 will start on and from 21.3.17. Students are asked to contact college office for detail. Online Form Fill up for B.Com 2nd yr (Day) section will be done on 6th, 7th & 8th March, 2017 between 10.30 am to 3.30 am. Classes will remain suspended on 28th February and 3rd March, 2017 on account of B.A / B.Sc / B.Com Part I Compulsory Language Group Examination, 2017. Provisional Admit Card of B.A / B.Sc for C.U Compulsory Language Group Examination, 2017 will be distributed on 1st and 2nd March, 2017. Candidates of B.A /B.Sc Part - I (Genl) Examination, 2016 seeking for re- examination of their General papers are asked to fill-up the review form from 22nd February, 2017. Candidates appeared in B.A /B.Sc Part - I (Hons & Genl) Examination, 2016 are hereby notified that they can see the photocopy of their evaluated answer script (Self - inspection) of their General papers by filling up an Application form available in the office. Form fill up for B.A / B.Sc / B.Com Part I Supplementary Examination, 2016 will be done on and from 22nd February, 2017. It is to be noted that the last date of form fill up is 6th March, 2017. Only the 3rd year students / Pass out students who have failed in General papers are eligible to fill up the form. Form fill up for Review of marks will be done on and from 18.2.17. Mark-sheet distribution for B.Com Part- I (Hons & Genl) Examination, 2016 will be done on and from 18.2.17. Students are asked to collect the same, following course timing. The College will remain closed on 2nd February, 2017 on account of Saraswati Puja. Students must enroll their name for prospective job opportunity. C.U Form fill up for B.A / B.Sc / B.Com Part III Hons & Gen Examination 2017 will be done online. Students are directed to take the following clearance within 28th January, 2017. The College will remain closed on 23rd, 24th and 26th January, 2017 on account of Netaji Subhas Chandra Bose Jayanti, C.U Foundation Day and Republic Day respectively. Passout students of 2015 are directed to collect their Degree Certificate from college office. B.Com (Hons & Genl) 2nd year (Day) Selection Exam 2017 will commence on and from 16th January 2017. B.A / B.Sc (Hons & Genl) 2nd year Selection Exam 2017 will commence on and from 27th January 2017. The College will remain closed on 12th January, 2017 on account of birthday of Swami Vivekananda and on 14th January, 2017 on account of Marak Sankranti. Please collect Supplementary Result of B.Com Part II from office. Form Fill-up for B.A / B.Sc / B.Com Part II Supplementary Exam (for General subject) is going on. Last date is 13th January, 2017. Form Fill-up for Re-examination / FSI for B.A / B.Sc / B.Com Part II General 2016 is going on. Last date is 11th January, 2017. B.Com 2nd year (Morning) Selection Exam 2017 will commence on and from 16th January 2017. All students are directed to appear for the said exam. Students of B.Com 3rd Yr Hons. are directed to collect their Project Topic from respective supervisor latest by 12th December 2016. No further date will be provided for the same. The date of Commencement of Selection Test 2016-17 for 3rd yr B.Com Hons and Gen is 9th December 2016. All are directed to appear for the same. The College will remain closed from 7th October to 2nd November, 2016 on account of Durga Puja, Muharrum, Laxmi Puja, Shyama Puja, and Bhatri Dwitiya. The College will remain closed on 30th September, 2016 on account of Mahalaya. There will be no class for 1st yr B.A / B.Sc / B.Com (Hons & Genl) on the following dates on account of Calcutta University B.Com Part - I Examination, 2016. Students appeared in B.A / B.Sc / B.Com Part - II (Hons & Genl) Examination are directed to take provisional admission immediately. Students are asked to collect their mark-sheet for B.A / B.Sc / B.Com Part - III (Hons.) Examination, 2016 from Departmental office on and from 27.6.16 to 15.7.16 following their course timing. Students of B.Com Part - II (Hons & Genl) asked to collect their admit card on and from 30.6.16 from college office. Application Form and Prospectus for admission to B.A/B.Sc/B.Com Hons and Gen course for the session 2016-17 will be available at College office on and from 17th May 2016. Remedial Classes for 1st Year Commerce are going go. Students are asked to attend the same. Admission 2016 : Notice for Admission to 1st Year undergraduate B.A/B.Sc/B.Com Hons. and Gen course for 2016-17 shall be given soon. It is to notify that examination in Compulsory Language Group (ENGC, CMCE and MIL) at B.A / B.Sc / B.Com. (Hons. & Genl) Part I courses shall be held according to the following schedule and manner at college. Cross-Verification of Registration Checklist for Academic Session 2015-16 is going on. Last date for verification and Signature is 8th February 2016. Selection Test for 2nd Year B.A/B.Sc. Selection Test for 2nd Year B.A/B.Sc. Date of Commencement is 16th February 2016. Selection Test for 2nd year B.Com. Selection Test for 2nd year B.Com Date of Commencement is 15th February 2016.. Annual Sports Meet 2015 will be held on 23rd Dec 2015. 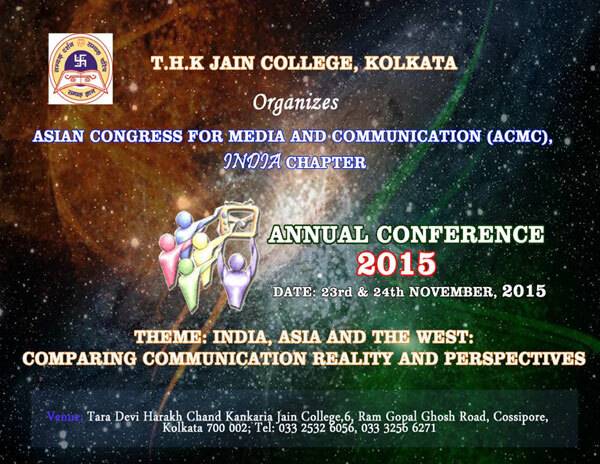 Venue: Calcutta University Ground and Tent , Maidan. College will remain closed on 24th December 2015 on account of Fateha-Doaz-Daham. It is further to be noted that the Winter recess will start on and from 25th December 2015. College will reopen on 2nd January 2016. Mid-Term Examination for B.A/B.Sc 1st & 2nd year Hons and General course of studies and B.Com 1st Year (Day section) will start on and from 12th December 2015. Students are asked to follow the Departmental Notice Board for details. B.Com 3rd Year Hons students are hereby asked to contact their Project supervisor for Project & Viva-voce Paper of final Part III Examination. Students are asked to collect Project for Environmental Science from the concerned teacher immediately. Mid-Term Examination of 3rd Year B.A/B.Sc Hons & General course will commence on 26th November 2015. Students are asked to follow departmental notice board for further details. Mid-term Examination Schedule for B.Com.1st year - 3rd year. Puja vacation shall start on and from 19th October 2015.The College will reopen on 16th November 2015. Students are directed to attend their regular class. Invited Lecture on 'Mystery of Netaji's Disappearance' On 7th October 2015 at 1.30 p.m. Date : 6th October 2015 from 11am onwards. Dr. Lalitagauri Ray, Professor, Dept. of Food Technology & Biomedical Engineering, Jadavpur University. Dr. Sagarmoy Ghosh, Associate Professor, Dept. of Microbiology, University of Calcutta. Notice is hereby given that a meeting of the old students will be held on Saturday, 19th September 2015 at 12:00 noon in the Audio Visual room of the college. To consider formation and registration of OLD STUDENTS' ASSOCIATION. Students of B.Com 1st Year SEC 1C & 1D are directed to attend the Seminar. There will be an "Inter-College Electro-Dandia Dance Competition" in the 2nd week of October 2015 organized by AVALANCHE. Interested candidates are asked to contact Mr. Sushanta Paramanick / Mr. Rajeev Mishra (office). Students who are willing to go for the selection trial of C.U teams for the session 2015-16 are hereby asked to submit the following documents to Mrs.Purnima Mukherjee/ Mr. Biswajit Chakrobarty. Admit card of Madhyamik / S.F Examination. Admit Card and Mark-Sheet of H.S equivalent (10+2) Examination. Admit Card and Mark-Sheet of 1+1+1 Examination of C.U for 2nd & 3rd year students. College Fees Book/ Identity Card. NSS volunteers who are interested to participate in Pre Republic Day Parade camp 2015-16 are asked to contact the undersigned immediately. A seminar and Educational Scholarship Test on Financial Market Overview will be conducted in the audio visual room for students of B.Com 1st year, sections 1B and 1F on 3rd September, 2015. A seminar entitled "Management Issues" will be held in the department of Commerce on 31st August, 2015 from 9.10 am to 10.30 am in the audio-visual room. All the students of B.com 1st year sec 1A are directed to attend the seminar. A photography club by the name of "Third Eye" is being introduced in the college. Training program on Free Open Source Software Learning funded by NME through ICT, MHRD. Govt. of India and designed by IIT, Bombay is ongoing in the college. Student of B.Com Part-II (Hons & Gen) are hereby notified that as per C.U guideline the following is the schedule of the ITBG practical examination. Commencing date of Selection Test 2015 for 3rd Year B.A/B.Sc /B.Com Hons and Gen course is 6th January 2015. Students are instructed to appear in the said exam positively. Last date of signing the Checklist of Registration for 1st Year B.A/B.Sc/B.Com Hons and General Course Is 3rd January 2015. Form fill up for Supplementary Examination 2014 for General papers of B.A/B.Sc/B.Com 3rd year Hons and Gen students will start on and from 2nd January 2015. The last date of submission of form is 7th January 2015. Annual Social RIPPLES of the College will be held on 31st January 2015 at SARAT SADAN, Howrah. Students are asked to be present in the audition on 19th and 20th January 2015.